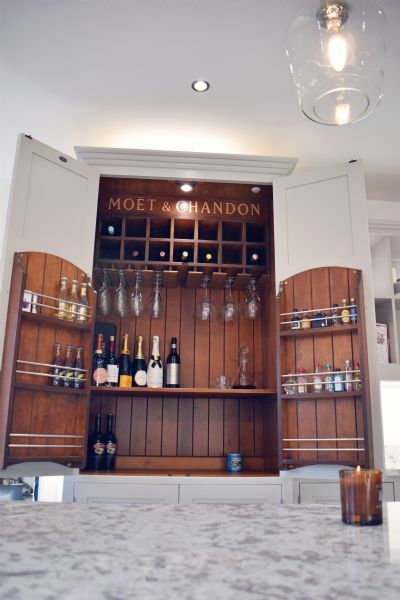 Welcome to Adam and Nici’s stately kitchen. 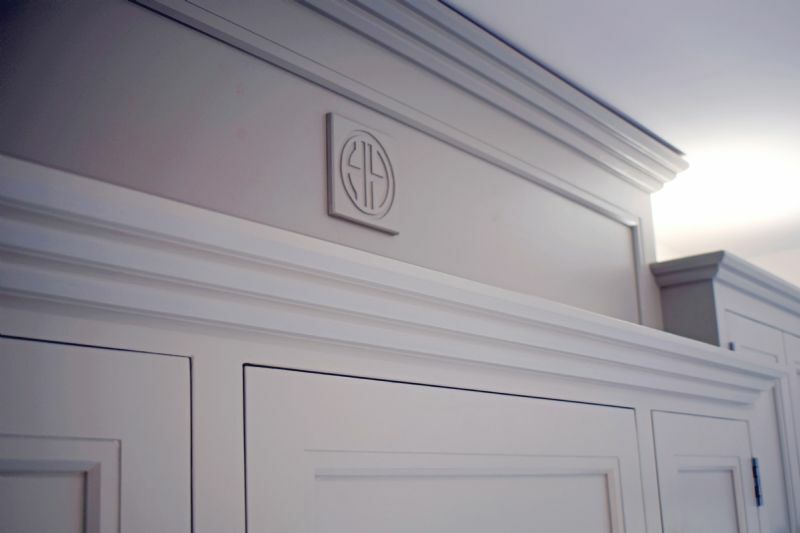 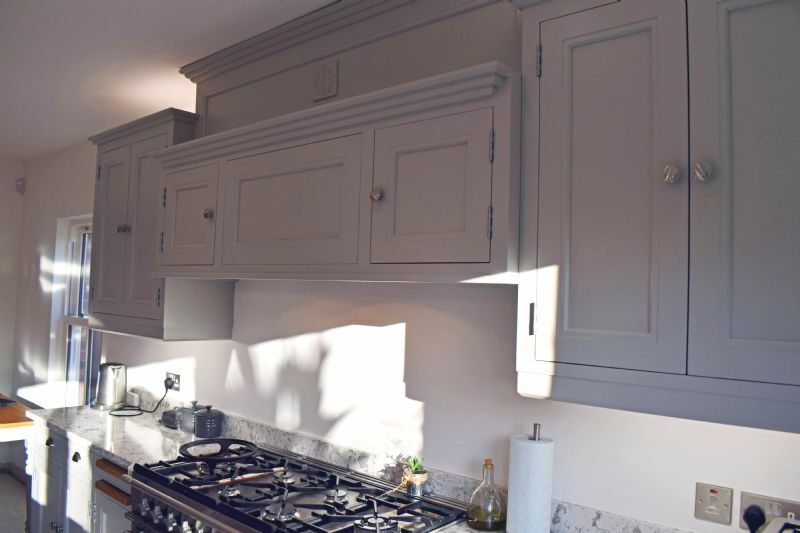 High cabinets, stepped Art Deco cornices, and brushed steel handles; Nici and Adam’s kitchen unifies the clean lines of the Modern style with the crisp airiness of contemporary design. 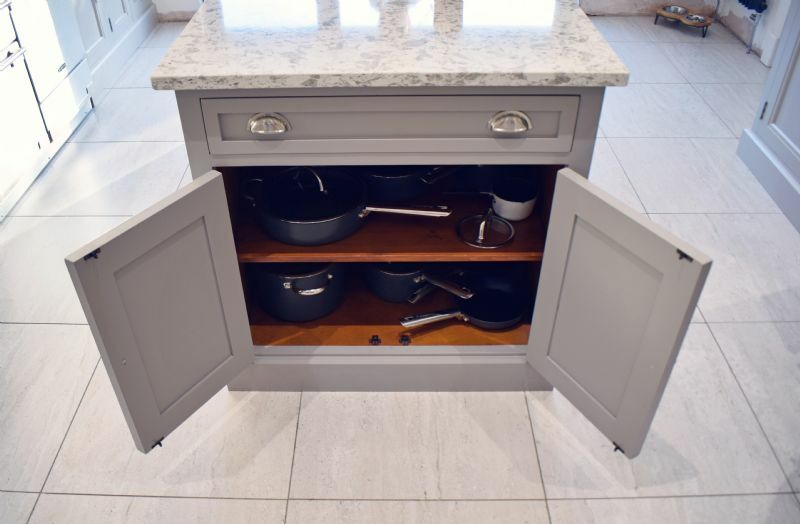 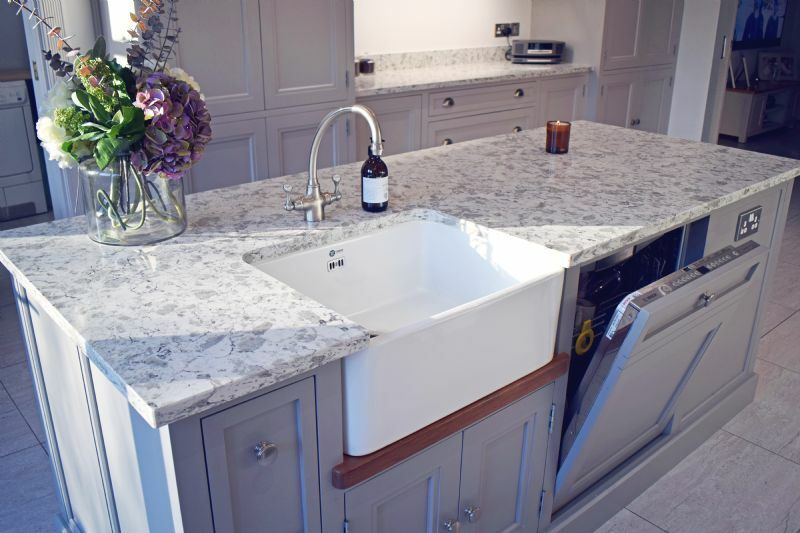 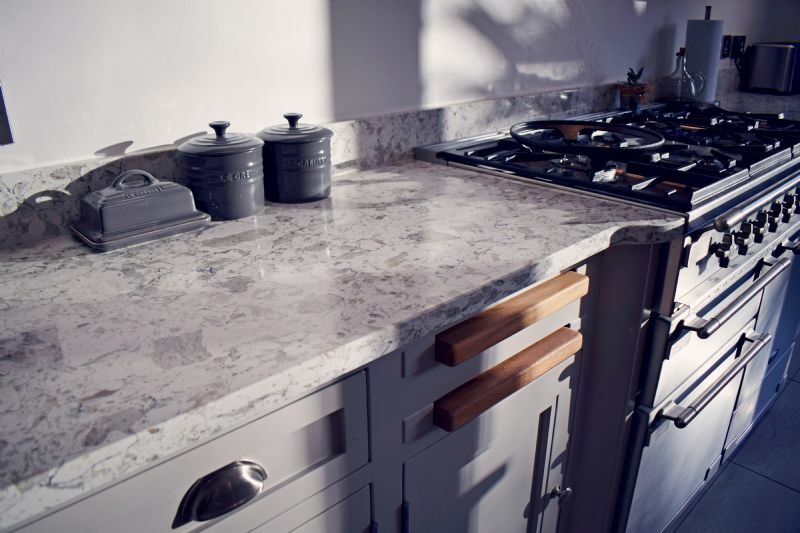 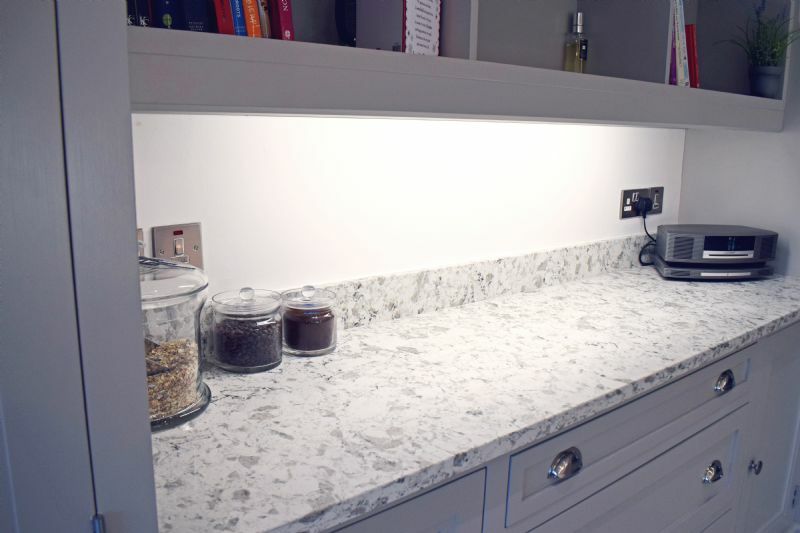 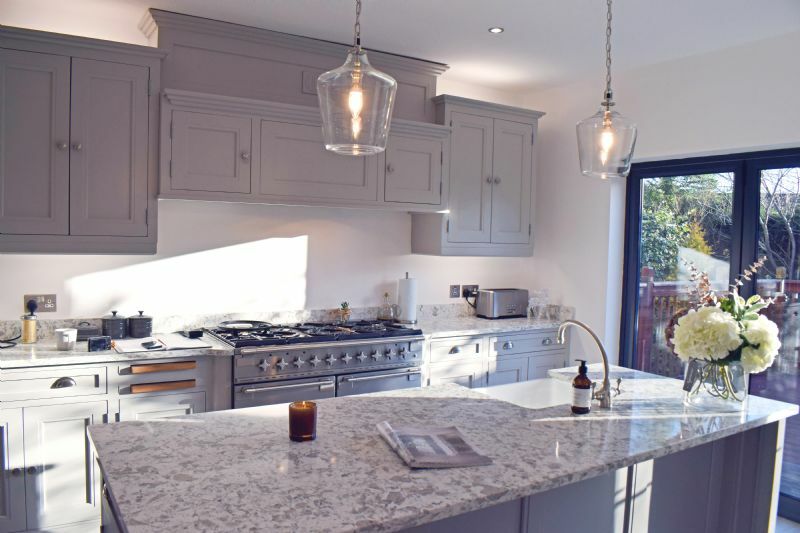 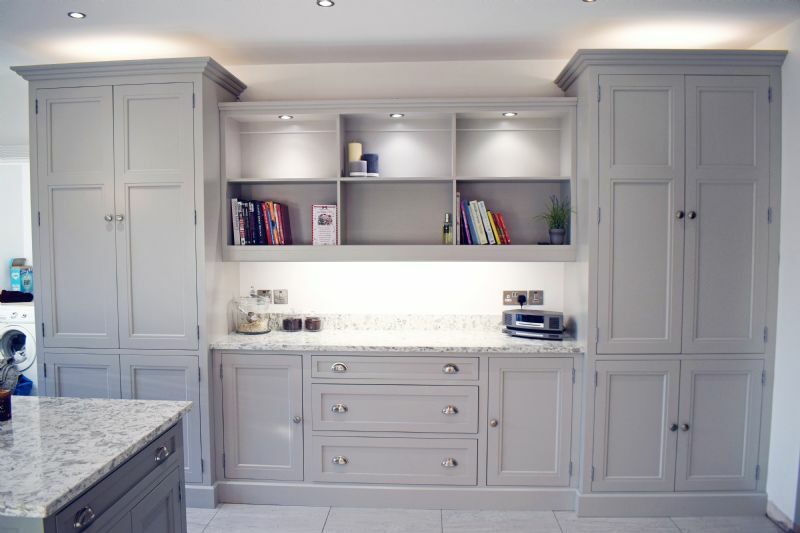 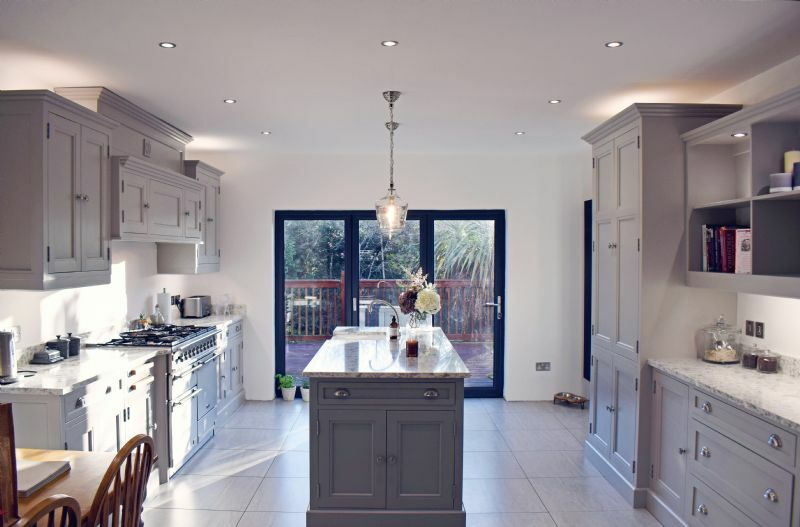 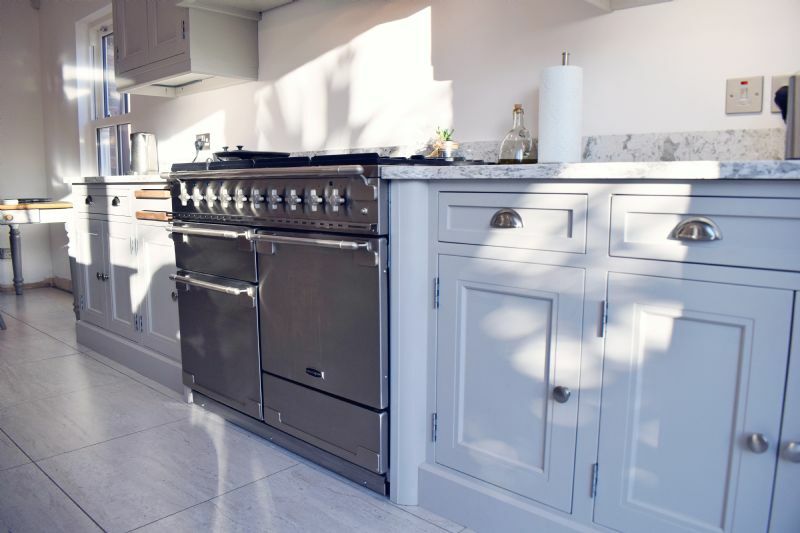 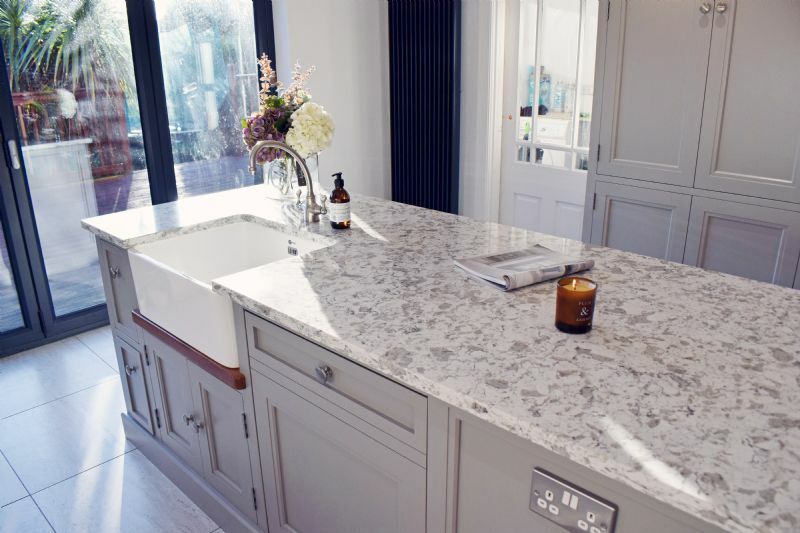 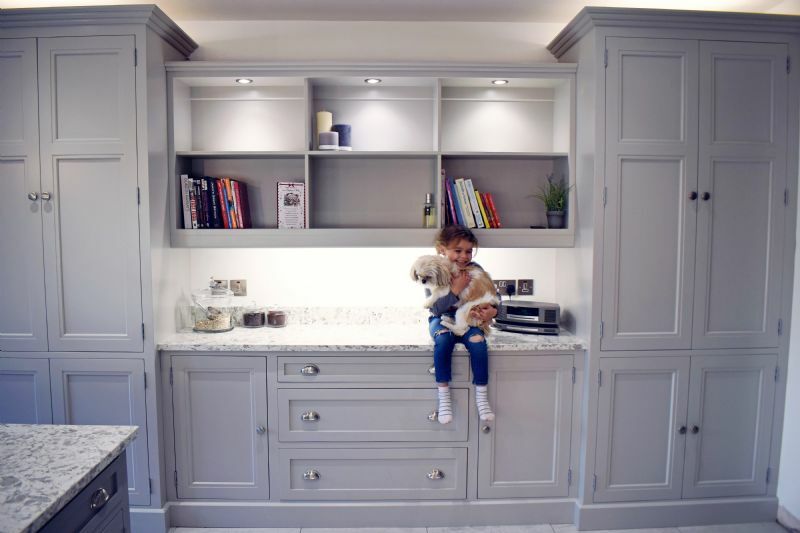 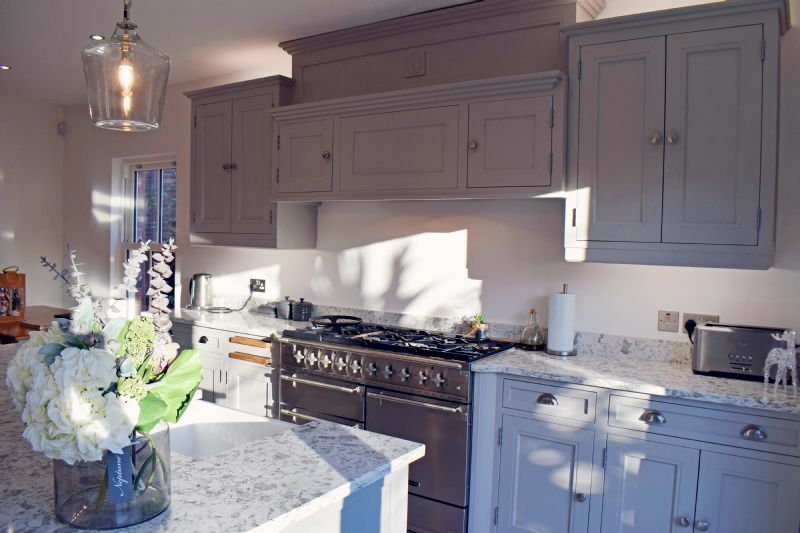 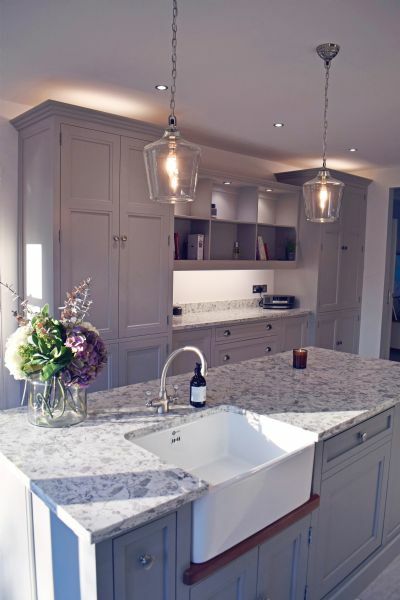 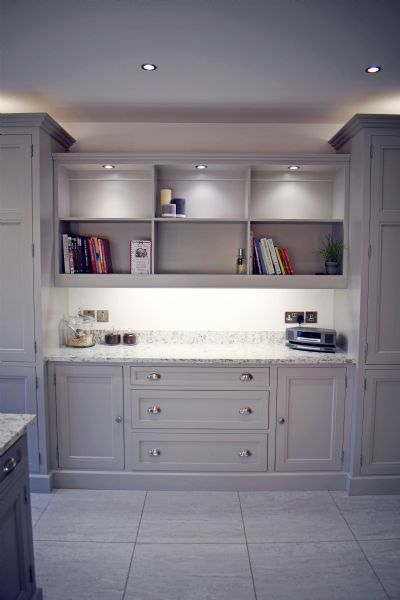 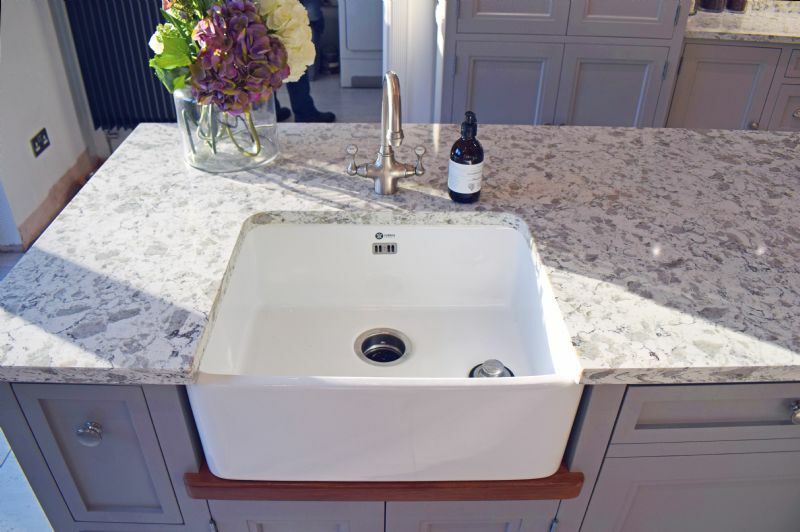 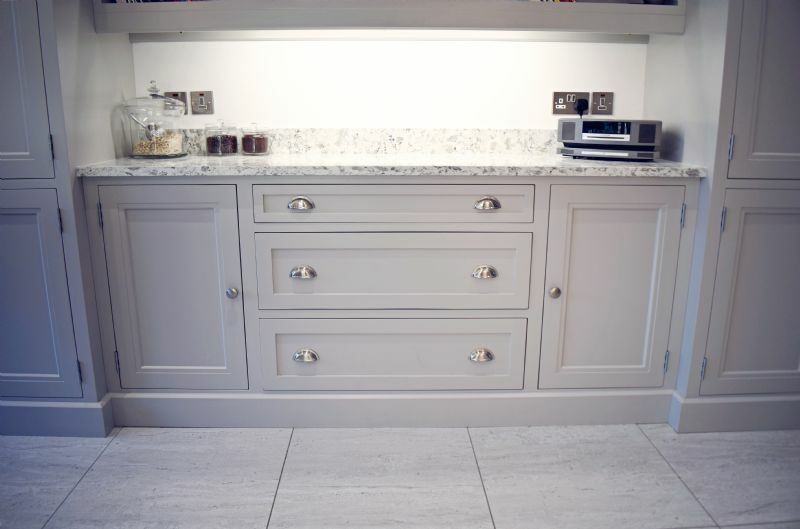 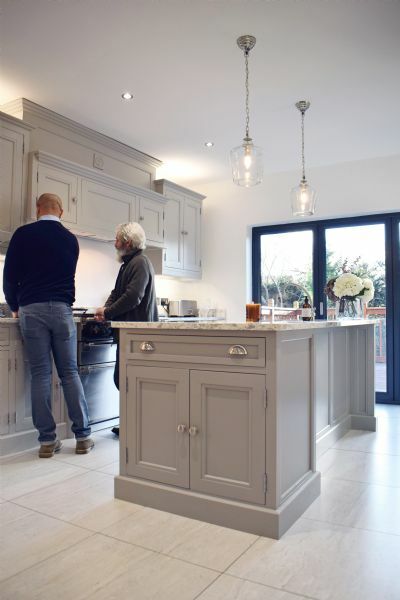 With light granite worktops, numerous personalised details, Perrin & Rowe taps, a variety of storage options, and a handsome open layout, Nici says the kitchen is her pride and joy. 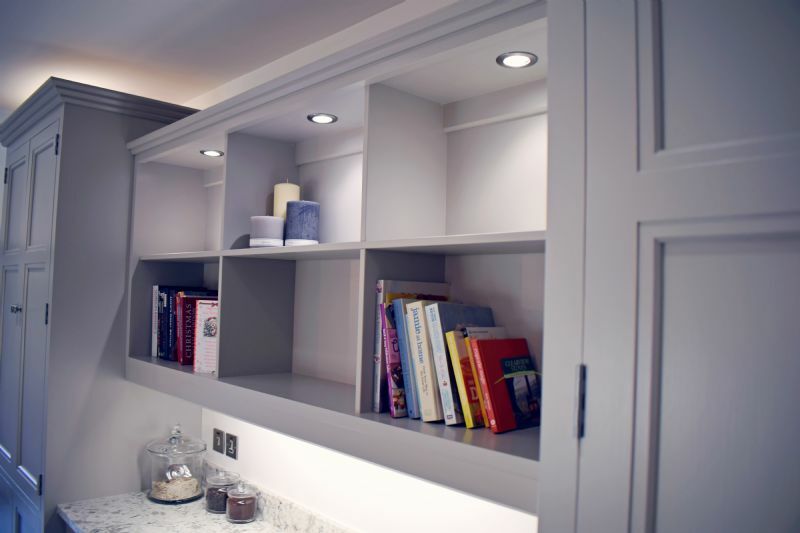 Adam and Nici both had ideas of what they wanted, and worked closely with our designer Dermot to make their visions a reality. 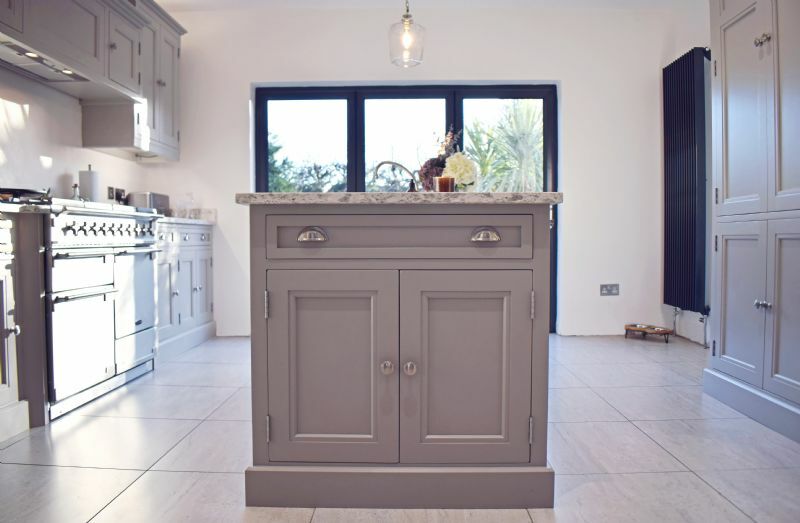 Handpainted in Farrow & Ball Worsted and Purbeck Stone, Nici and Adam’s kitchen is light and luxurious and perfectly tailored to their needs.